U-15 SAFF: Nepal loses out in the semis - Integration Through Media ....! 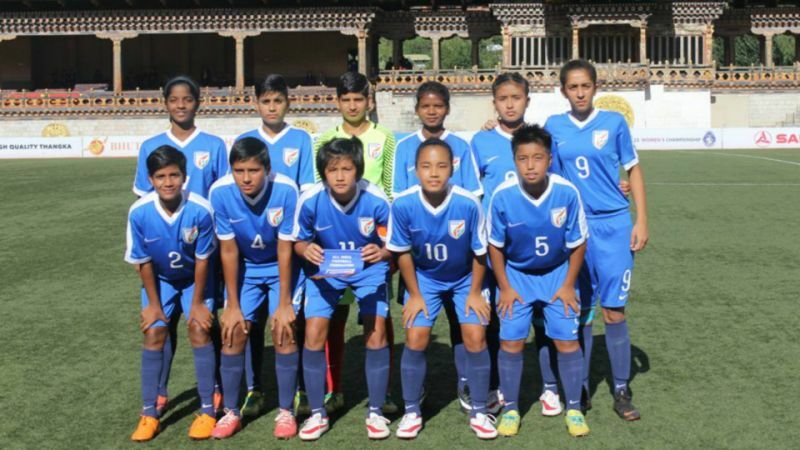 KATHMANDU: Nepal has lost to India in the semi-final of the Second U-15 SAFF women’s championship. In the match held in Thimpu, Bhutan earlier today, Nepal lost to India by 1-2. India took the lead in the 30th minute with a goal from Lenda Kom but was cancelled 7 minutes later by Nepal’s Rajani Thokar. However, Kritina Devi made it 2-1 for India in the 75th minute of the match, which stood until the end to give India a place in the final. Nepal will now play for the third place, against the loser of the second semi-final match to be held between host Bhutan and Bangladesh. Meanwhile, Nepal also lost in football game under the 18th Asian Games underway in Indonesia. Nepal lost to Vietnam by 0-2. In the first match, Nepal had lost to Japan 0-1. It will now play its final league match against Pakistan on Sunday, according to All Nepal Football Association.